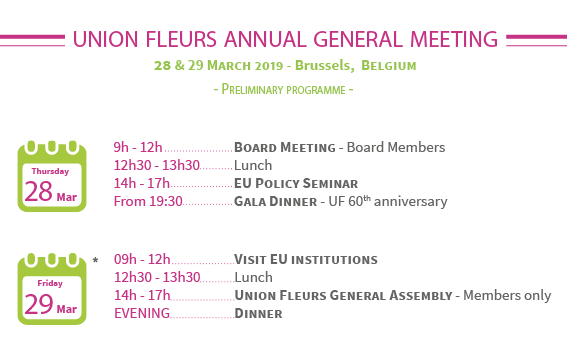 We are pleased to invite you to the Union Fleurs 2019 Annual General Meeting taking place in Brussels, Belgium on 28 & 29 March 2019. 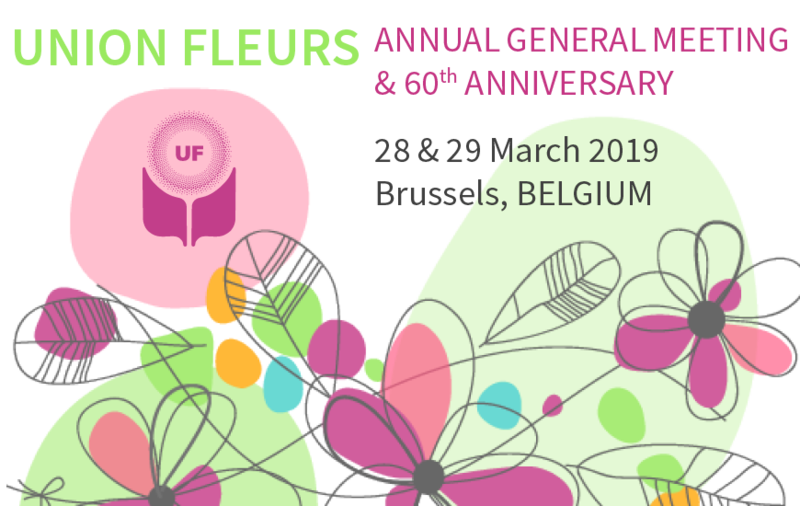 2019 marks the 60th anniversary of Union Fleurs, which was founded in Brussels in 1959. We will couple celebrations of this milestone with the General Assembly and would be pleased to count on your presence as a valued partner and friend of Union Fleurs. The RENAISSANCE HOTEL BRUSSELS is located rue du Parnasse, 19 at the heart of the EU district, just across the EU Parliament and 600m away from the Union Fleurs office. Participants are requested to book their room directly with the hotel. If you arrive on Tuesday 26 or Wednesday 27, you need to make a separate reservation: please first book your nights from 26 to 27 March, then click on the link below again and select the second option to get the best deal for your stay from 28 to 30 March.